Bound volume entitled Minutes of Evidence, Volume 1, 1912 (2 copies). Comments on the Pembrokeshire Inventory compiled by C. Fox and E. Owen. Witness questionnaires produced for RCAHMW Cardiff meeting, c.1910. Group photograph of staff and Commissioners at Gliffaes Hotel, 1982. 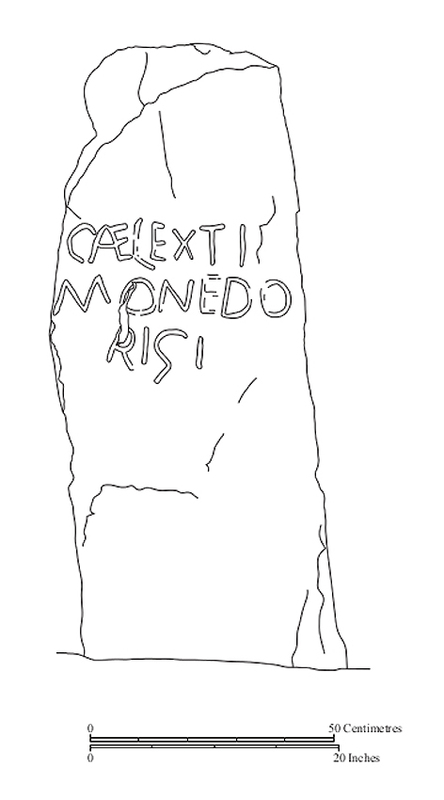 Line drawing showing the inscribed stone at Ceilwart Isa Farm, Barmouth, ref: CEMS_3_03_06, C607008. 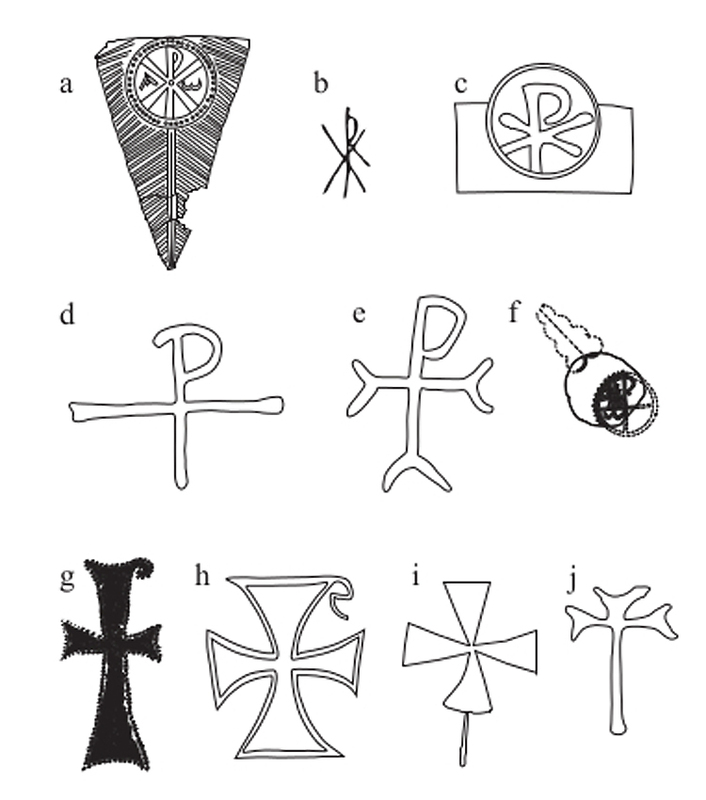 Line drawing showing chi-rhos and crosses (Fig 4.11), ref: CEMS_3_03_27, C607036. A further 174 sheets of slides have been catalogued to batch level this month. The National Monuments Record (England), H.M.S.O., London. Welsh archaeological conference 4th December 1987 – Aberystwyth recording and records in Welsh archaeology, RCAHMW, Aberystwyth. Y gweithfeydd glyn ebwy y swyddfeydd cyffredinol/ The works Ebbw Vale the general offices. Addoldai Cymru/Welsh Religious Buildings Trust, Llwybr ffydd yr undodwyr/Unitarian faith trail, Addoldai Cymru/Welsh Religious Buildings Trust. Allden, Alison, 1982, An analysis of central government (DAHMB) support in 1982/83 for the recording of archaeological sites and landscapes in advance of their destruction, The Prehistoric Society. Archaeological Sites and Monuments Record, 1990, Archaeological thesaurus, Archaeological Sites and Monuments Record, Aberdeenshire. Archaeology Data Service, 2000, Digital archives from excavation and fieldwork : a guide to good practice (edited by Julian Richards and Damian Robinson ; with additional contributions by Tony Austin … [et al.]. ), Oxbow Books, Oxford. The Association of County Archaeological Officers, 1978, A guide to the establishment of sites and monuments records, The Association of County Archaeological Officers. Bevins, R.E. [et al. ], 2010, Mineralization in England and Wales, Joint Nature Conservation Committee, Peterborough. Bland, Roger and Hobbs, Richard, 2001, Finding our past portable antiquities scheme phase 2: England and Wales application to Heritage Lottery Fund: part 1 outline of project, Resource, London. Bland, Roger and Hobbs, Richard, 2001, Finding our past the portable antiquities scheme, phase 2: England & Wales outline bid to the Heritage Lottery Fund, Resource, London. Bland, Roger and Hobbs, Richard, 2001, Finding our past: portable antiquities scheme phase 2: England and Wales application to Heritage Lottery Fund part II: project details, Resource, London. Bland, Roger and Hobbs, Richard, 2001, Finding our past the portable antiquities scheme, phase 2: England and Wales outline bid to the Heritage Lottery Fund 4. tasks, outcomes and assessment of the scheme, Resource, London. Brown, John, 1983, Henebion Cymru: historic monuments of Wales: Ways of making them more enjoyable, more enlightening, more profitable, John Brown Tourism Marketing and Development, Worcester. Business Research Centre, 2001, Survey of UK Vertical Aerial Photography, Business Research Centre, Malmesbury. Canal & River Trust in Wales, 2014, Beyond the towpath : a ten year strategy for Glandŵr Cymru, Canal & River Trust in Wales, Monmouthshire. Carrdus. K. and Miller, G., 2000(? ), The search for Britain’s Lost Unique Hill-Figure, Parchment, Oxford. Chitty, Gill, 2001, Review of portable antiquities pilot scheme, Hawkshead Archaeology & Conservation, Lancashire. Chitty, Gill and Edwards, Rachel, 2004, Review of portable antiquities scheme 2004, Hawkshead Archaeology & Conservation, Lancashire. Country Life, 1962, An index of articles on Houses in Country Life from 2nd. June 1950 to 2nd. August 1962, Inclusive, Typescript. Cranstone, David, 1985, Park Level Mill, Killhope : interim excavation report, October 1985, Durham County Council, Durham. Cronin, J. M., 1927, A Welsh reformation chalice at Dowlais, Wales and the Marches Catholic History Society, Cardiff. Cuevillas, Florentino López, 1968, A edade do ferro na Galiza, Real Academia Gallega, A Cruña. Davey, Norman, 1923, Studies in tidal power (a facsimile, of the original, in two parts), Constable and Company Limited, London. Darkes, Giles and Spence, Mary, 2008, Cartography: an Introduction, British Cartographic Society, London. Department for Culture, Media and Sport, 2004, Protecting our marine historic environment: making the system work better, Department for Culture, Media and Sport, London. 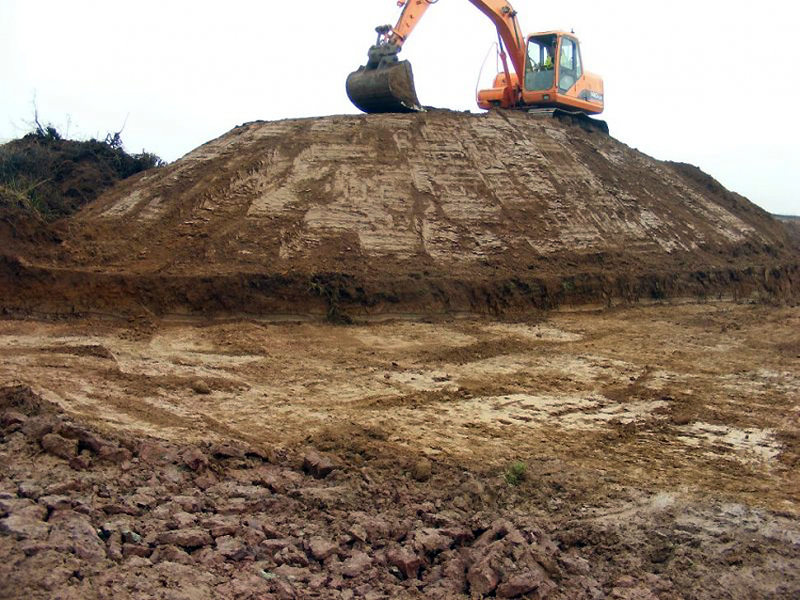 Department of the Environment, Minerals Division,1994, The Reclamation and Management of Metalliferous Mining Sites / Environmental Consultancy University of Sheffield & Richards Moorehead & Laing Ltd., HMSO, London. English Heritage, 2004, Farming the historic landscape : caring for farm buildings, English Heritage, London. English Heritage, 2005, Wind energy and the historic environment, English Heritage, London. English Heritage, 2006, Shoreline management plan review and the historic environment : English heritage guidance, English Heritage, London. Firth, Antony, 2013, Historic environment guidance for wave and tidal energy, Fjordr Ltd.
Fox, Aileen, 1946, Early Christian period: settlement sites & other remains (Extract from ‘a hundred years of Welsh archaeology (1846-1946), Cambrian Archaeological Association, Cardiff. Fox, Aileen, 1955, Huts and Enclosures on Gripper’s Hill in the Avon valley, Dartmoor, Reprint from the Transactions of the Devonshire Association for the Advancement of Science, Literature and Art. Gaffney, Chris, 2002, The use of geophysical techniques in archaeological evaluations, Institute of Field Archaeologists, Reading. Gale, Alison, 1995, Between Tides, A Coastal Survey of Carmarthen Bay : A Pilot Project in Maritime Recording for the Royal Commission on the Ancient and Historical Monuments of Wales in partnership with Dyfed Archaeological Trust, RCAHMW, Aberystwyth. Grinsell, L.V.,1970, The Barrows of North Devon, Devon Archaeological Society, Torquay. Grinsell, L.V., 1971, Somerset Barrows: Part 2: North and East, Somersetshire Archaeological & Natural History Society. Hodgson, John, 2001, Archaeological reconstruction : illustrating the past, Institute of Field Archaeologists, Reading. Institute of Field Archaeologists, 1985, The institute of field archaeologists: memorandum and articles of association, Institute of Field Archaeologists. Jackson, A. A. and Stone, P., 2008, Bedrock geology UK south, British Geological Survey, Nottingham. Jones, N. W. and Frost, P.,1996, Clwyd Metal Mines Ground Survey 1995, Clwyd-Powys Archaeological Trust, Welshpool. Jones, N. W. and Frost, P.,1996, Powys Metal Mines Ground Survey 1994, Clwyd-Powys Archaeological Trust, Welshpool. Jope, E. M., 1952, Regional charter in West Country Medieval pottery, Bristol and Gloucestershire Archaeological Society. King, Tony and Williams, Christopher J., 2010, Tŵr y Jiwbilî 1810-2010/ The Jubilee Tower 1810 – 2010, Cadwyn Clwyd. Kulik, Gary and Bonham, Julia C., 1978, Rhode Island: an inventory of historic engineering and industrial sites, U.S. Department of the Interior, Washington, DC. Lee, D.M., 2002, Film and sound archives in non-specialist repositories, Best Practice Guideline 6, Society of Archivists, London. Lloyd, David, 1976, Save the City : a conservation study of the city of London, Society for the protection of Ancient Buildings. Lynn-Thomas, John. Col. Sir, 1930, A “Tumulus” that is not a Tumulus. Mabinogion v. Ordnance Survey. Facts and Romance Wedded at Llwyndyrys (Reprinted from Western and South Wales News, Wednesday March 12th 1930). McCarthy, Dan, 2014, Dalkey Quarry tramway, 1815-c1855, Six Martlets Publishing, Clare. Miles, Henrietta, 1969, Excavations at Fisherwick, Staffs., 1968 – : A Romano-British Farmstead, and a Neolithic Occupation Site, Extract from Transactions 1968 – 69, Volume X. Ministry of Works, 1949, War and archaeology in Britain the excavation of ancient sites and the preservation of historic buildings, H.M.S.O., London. 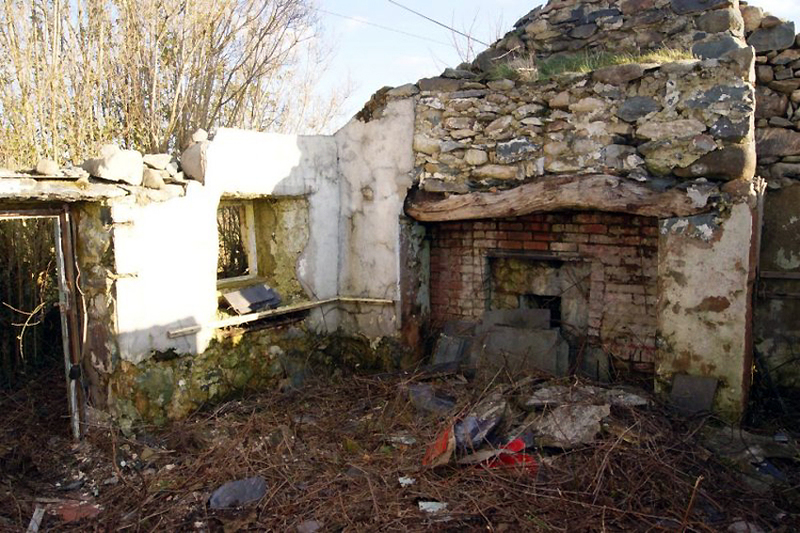 Murphy, K. and Ings, M., 2013, Climate change and the historic environment in Wales: a summary of potential impacts, HEG. Napier, J., 1851, a manual of electro-metallurgy including the applications of the art to manufacturing processes, R. Griffin and Co., London. Penn, V. F., 1975, Wall painting in a house in High Street, Walsall, Staffs, South Staffordshire Archaeological and Historical Society. R.C.H.M.E., 1991, 50 years of the National Buildings Record,1941-1991 / with an introduction by John Summerson, Trigon Press, Beckenham. R.C.H.M. England, 1995, Tour of National Monuments Record Centre, C.O.E. Archaeological Heritage/R.C.H.M. England. RCAHMW, 2005, The National Monuments Records – England, Scotland and Wales, RCAHMW, Aberystwyth. Rees, Siân E., 1980, Siambr gladdu Parc le Breos Gorllewin Morgannwg / Parc le Breos chambered tomb West Glamorgan, HMSO, Cardiff. Rutter, J. G., 1969, Industrial archaeology area 1: industrial archaeology in North-East Yorkshire list of sites area 1 Scarborough, Scarborough and District Archaeological Society, Scarborough. Scott-Morgan, John, 1977, The Corris Railway Company, Gemini Publishing, London. Severn Estuary Levels Research Committee, 2003, Archaeology in the Severn Estuary, Severn Estuary Strategy. Silvester, Bob, 1999, Uplands fieldwork in Clwyd and Powys 1989 – 1999 : a synthesis, Clwyd-Powys Archaeological Trust, Welshpool. Smith, Roland and Cox, Peter, 1986, The past in the pipeline: archaeology of the Esso midline, Trust for Wessex Archaeology, Salisbury. Thomas, Charles, 1964, Excavations on Ardwall Island, gatehouse of fleet, Kirkcudbrightshire, 1964: preliminary report, Department of Archaeology, University of Edinburgh, Edinburgh. 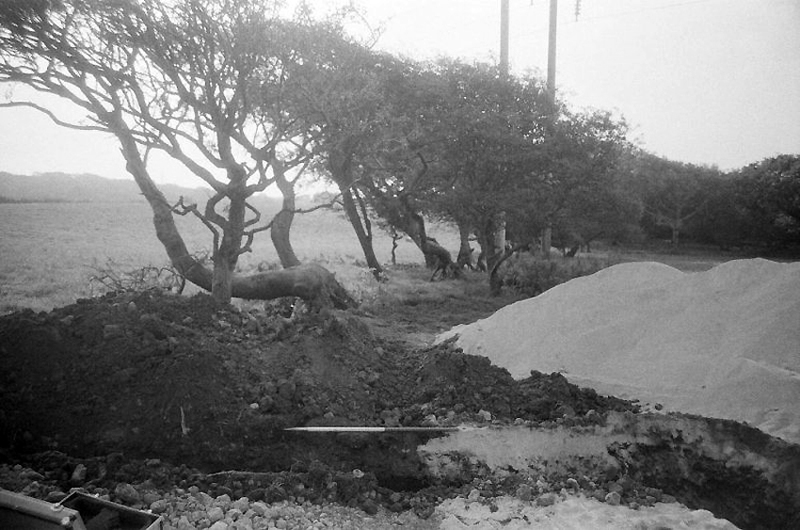 Thomas, Charles, 1965, Excavations on Ardwall Island, gatehouse of fleet, Kirkcudbright, 1965: second interim report, Department of Archaeology, University of Edinburgh, Edinburgh. Turner, Rick, 2002, Chepstow Castle, Chepstow Bulwarks Camp, Runston Church, CADW, Cardiff. Willems, Willem J. H., 1999, Archaeology in Britain conference 1997 the future of European archaeology, Oxbow Books, Oxford. WMS, 2015, Mining technology: technological innovation in the extractive industries -proceedings of the NAMHO conference 2014, The Welsh Mines Society, Llanaber, Gwynedd. Whybrow, Charles, 1967, Some Multivallte Hill-Forts on Exmoor and in North Devon, Reprint from the Devon Archaeological Society No.25. Ancient Monuments Society Newsletter no. 02/2015, pp. 11 & 12, Casework section: Pontypridd, Bethany Baptist Church, proposals to remove some of the pews; Swansea, Siloh Newydd Chapel, Landore, meeting to consider the future in light of dwindling congregation; p. 20, Gleanings section: Tabernacle Baptist Chapel, Talgarth, bought by Alan McGee, former manager of Oasis; proposes to use it for concerts and community events; p. 22, Miscellaneous section: new Cadw CEO and the Historic Environment (Wales) Bill; buildings, esp. chapels, under siege in Wales; 80% cut to Newport Museum and Library; the former holds important artefacts from Tintern Abbey, Blaenavon, and other sites; p. 39: Short review of our Welsh Slate book. The Victorian no. 49, p. 22: Casework: Wales and the Midlands mentions the demolition threat to the grade II listed Victoria Pier, Colwyn Bay; p. 34: ‘Top Ten most endangered’ mentions emergency repair work on Navigation Colliery, Crumlin, and gives an update on the Coal Excahnge in Cardiff.